Fairyland is home to seven colorful sisters. Together, they are the Rainbow Fairies! They keep Fairyland dazzling and bright. But when evil Jack Frost sends them far away, the sisters are in big trouble. If they don't return soon, Fairyland is doomed to be gray forever! Rachel and Kirsty discover Ruby the Red Fairy in the pot at the end of the rainbow. Can they help find the rest of her Rainbow sisters...before it's too late? All seven volumes of Daisy Meadows's popular "Rainbow Fairies" children's chapter-book series are on sale today! 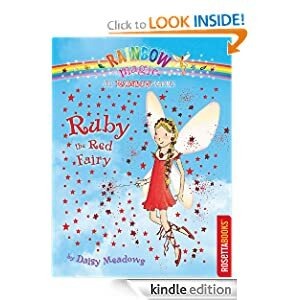 Ruby the Red Fairy or to sample this book for FREE! -- Having narrowly escaped an unjust death sentence, Scout Donovan is on the run. But the more she discovers about the Alpha Pack and herself, the more she realizes she can’t run forever. Destiny is propelling her towards an unavoidable battle. Can Scout survive, or will she finally succumb to fate? 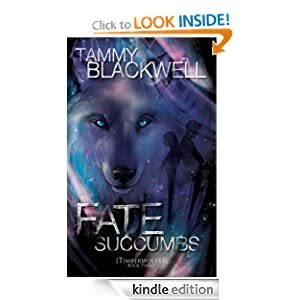 Fate Succumbs or to sample this book for FREE! 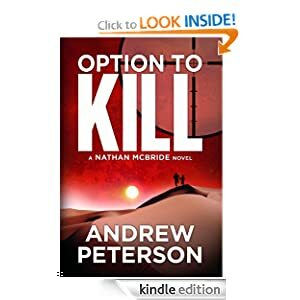 -- Nathan McBride, “the most brutally effective thriller hero to appear in years” (Ridley Pearson, author of Killer Weekend), returns in the third installment of one of the best new series in thriller fiction. When Nathan McBride receives a text message from someone who claims she’s been kidnapped, it triggers a deadly chain of events that has the potential to haunt him for the rest of his life. In a violent confrontation, Nathan rescues Lauren from her kidnapper, but as he unravels Lauren’s story, he realizes his troubles are only beginning. She says she’s in the Witness Security Program, and doesn’t trust the US Marshals because she thinks they’re complicit in her abduction. Not only that, her stepdad was murdered last night. In a desperate and unlikely alliance, Nathan and Lauren must stay one step ahead of her kidnapper and the brutal mercenaries who will kill anyone who gets in their way. Played out over the course of 36 lightning-fast hours, Nathan and Lauren must learn to trust each other or they won’t survive. NOTE: This book is a Kindle Serial. Kindle Serials are stories published in episodes, with future episodes delivered at no additional cost. This serial currently contains two episodes out of an estimated eight total episodes, and new episodes will be delivered every two weeks. An additional episode will be delivered every two weeks until the book is complete. New episodes will be added to the same book on your Kindle, keeping your place and retaining your notes and highlights. You'll be notified via email when a new episode has been delivered. Episode 1: Released on September 6, 2012. 44 pages. Nathan McBride receives a cryptic text message containing his secret operative name from someone named "Lauren" who says she’s been kidnapped. How does she know who he is? Is this for real? And if so, can he save her? Episode 2: Released on September 20, 2012. 41 pages. On the run from both the police and an unknown number of gunmen, Nathan discovers a startling truth about Lauren. Option to Kill or to sample this book for FREE! -- Katie Ann lost the love of her life. But in Canaan, God offers her a new beginning. Settling in to her new life in Canaan, Colorado, Katie Ann Stoltzfus gives birth to a beautiful baby boy. The boy's father - her estranged husband - died before their son is born. Despite his infidelities, Ivan was her one true love. She mourns his loss, vows never to trust another man, and resolves to fill the role of both mother and father to her son. Then Eli Detweiler arrives in Canaan from Middlefield, Ohio, to attend his niece's wedding. He's been raising his kids alone in Middlefield since his wife's death fifteen years ago. Now each child is married, so Eli looks forward to living a less-structured life-and eating shoofly pie for breakfast every morning. There's no one to care for except himself. When a meddling-but good-hearted-Englisch woman plays matchmaker for Katie Ann and Eli, they find themselves facing an unexpected, hopeful future…brought together by God's wondrous love. 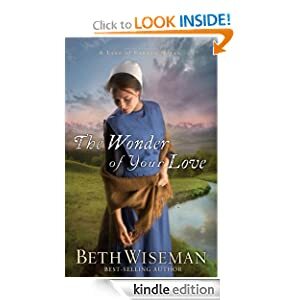 The Wonder of Your Love or to sample this book for FREE!